Two ballads. 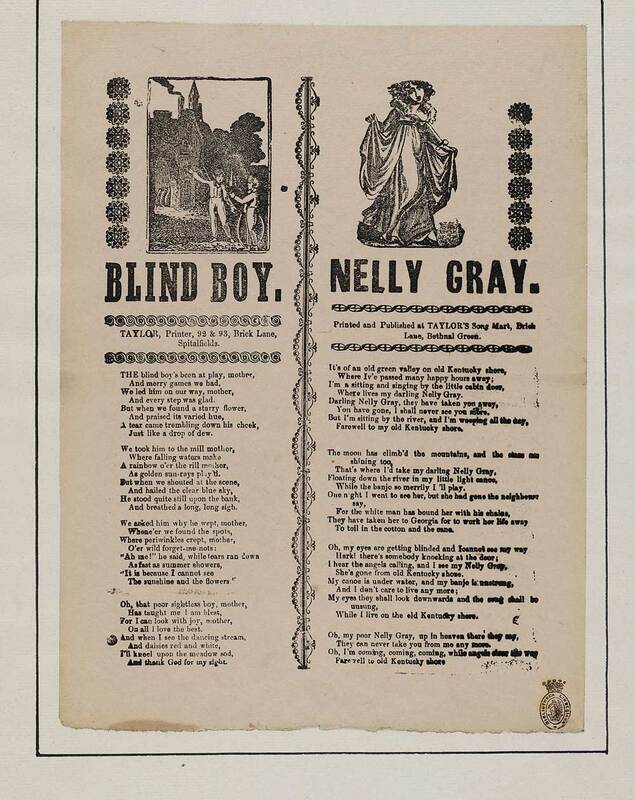 Blind boy - first line reads: The blind boy's been at play, mother. Nelly Gray - first line reads: It's of an old green valley on old Kentucky shore. In two columns with an illustration above each.